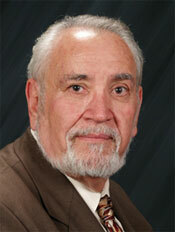 Sam Abdulaziz graduated from UCLA in 1962 with a Bachelor's Degree in Business Administration (Personnel Management). After working in the aerospace industry for several years he went on to Loyola University School of Law and earned his Juris Doctor degree in 1971, while working full time. He was admitted to the State Bar of California in 1972. Over the past four decades, Sam has garnered a reputation as one of the nation's leading lecturers and writers in the field of construction law. He is one of the most respected and well-known construction attorneys in California. He is especially recognized for his expertise in the area of Mechanic's Lien remedies and issues concerning contractors and the Contractors' License Law. Sam has litigated and arbitrated numerous construction cases and has served as an arbitrator within an arbitration panel, as well as being the sole arbitrator on complex construction cases. He has also served as a judge pro tem in the court as well as a mediator for the appellate court. On the local and statewide front, he serves as legal counsel for several construction related trade associations. Sam often represents contractors in disciplinary cases where the License Board seeks to discipline a contractor. Numerous attorneys refer such cases to Sam. Sam Abdulaziz and Bruce Rudman were featured on the cover of Los Angeles Lawyer magazine that contained an article called "Hammering the Contractor" that was written by Sam and Bruce. Elected officials and appointed members of various regulatory agencies commonly refer to Sam Abdulaziz on matters regarding the state's contracting laws and regulations. Sam's testimony before the CSLB advocating the rights of contractors is always well received. He has also argued cases before the California Supreme Court, appellate courts, the Public Utilities Commission, and disciplinary tribunals. As senior partner of the Law Offices of Abdulaziz, Grossbart & Rudman, Sam oversees a legal team that practice all facets of law in the construction industry, including material suppliers, subcontractors, sureties, and developers, as well as representing contractors before their licensing agency in disciplinary matters. For more information about Sam Abdulaziz or Abdulaziz, Grossbart & Rudman, email ska@agrlaw.com. Recipient of the 2005 Construction Person of the Year Award from the Builders' Exchange of the Central Coast, Inc.
Edited Shepard's "California Construction Law"